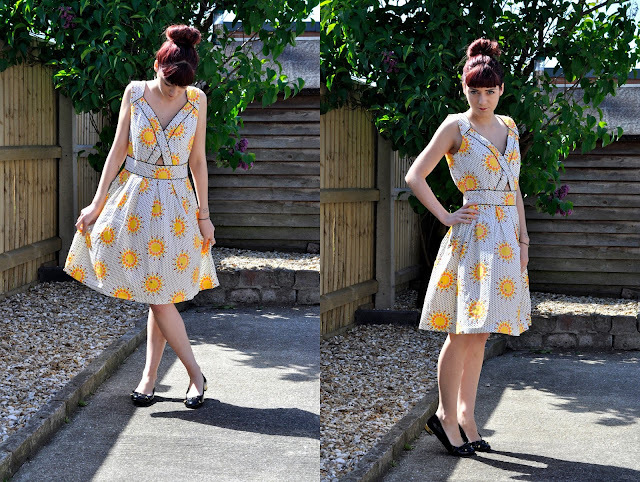 helloellaxo: Trollied Dolly & Giveaway! Aren't these dresses just gorgeous?! I was thrilled when I received these and couldn't wait to get them on. TrolliedDolly offer retro inspired clothing which you can't find anywhere on the high street, I've always been a fan of this style of clothing but never ever thought it would look good on little me! I was pleasantly surprised and thought ooo they actually suit me :D My dress collection is now insane I have lost count how many are in my wardrobe, they're definitely my weakness. I think the yellow strawberry dress is sooo cute and cannot wait to wear it out and on my holiday, anyone would suit this dress and even if you have a small bust like me you can still pull it off! I have to say this dress is my favorite out of the two but I do equally love the Sun dress :) I love the detailing on this one, there's little bees in the print and I adore the polka dots. Which dress do you love? Both of these dress are so very beautiful! They're both so pretty, but I think I prefer the strawberry one! It's quite a unique print, I love it! They are both so beautiful! but I think I love the sun dress, the gap in the middle of the dress is so pretty and have never tried a dress like that before. I love the strawberry dress! totally signed in through my boyfriends account! - Sorry to everyone for his happy little face there.. Anyway, I really like the sundress, the paneling and neckline is different and interesting, and the fabric is so unique! Great give-away!! You loooook stunning! 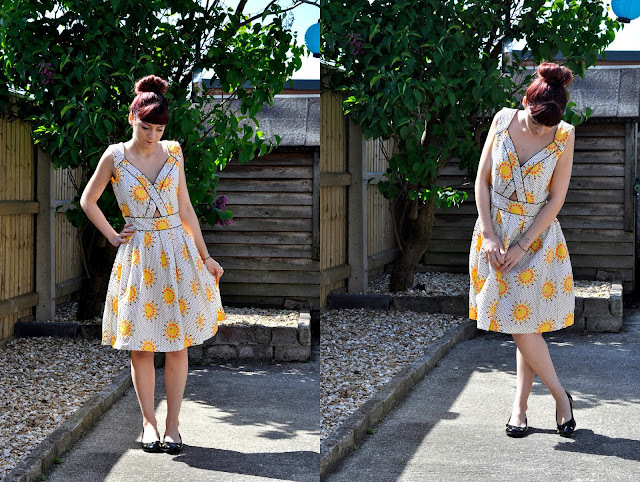 The yellow strawberry dress is the perfect 50s summer dress, so cute! Would love to win it! Also I love your tattoo, really want a feather on my ribs but don't have the money/pain tolerance!